With their patented design the TRIC clip panel fasteners save precious installation time while increasing reliability and safety. 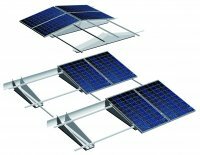 Wagner & Co and Frankensolar together present the TRIC mounting systems at the EU PVSEC in Frankfurt from Sept. 24 – 28, 2012. Particular emphasis is laid upon the new products TRIC box and TRIC clip. Interested parties are invited to inform themselves about the TRIC assembly systems at booth E6 in Hall 3.1. TRIC box already joined the successful TRIC range of solar racking systems in June 2012. TRIC box is suitable for all industrial flat roofs and impresses with its easy installation, flexible operation and low weight. Only two tools are required to assemble TRIC box, which minimizes installation time by up to 50% compared to existing alternatives. The two variants of the TRIC box – system allow for southern as well as east / west orientation of the solar power system. The vertical panel arrangement and their 10° pitch allow to utilize up to 95% of the roof area (east / west system). Aerodynamically optimized, the design reduces additional weight load of roofs to the minimum, without requiring to penetrate the roofing. Individual project-related structural calculations are carried out by design engineers free of charge and are available through both partner companies, Wagner & Co and Frankensolar. 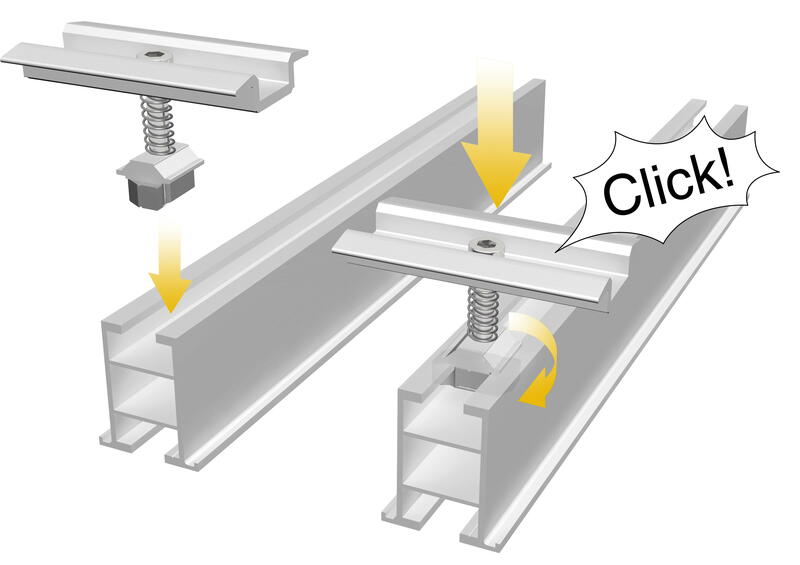 TRIC clip – panel fasteners will be available within the TRIC product portfolio as of October 2012.They are the perfect solution for time-and cost-saving installations of solar panels. The trick with the clip is simple but surprisingly efficient. Its patented TRIC clip mechanism turns fixing of the fastener in the mounting rail into a breeze – it just takes one-click. The audible „click“ signal instantly confirms the correct position of the clip-TRIC nut. The self-securing TRIC clip always immediately places itself in the correct position, while it still can be moved flexibly in the mounting rail. T head and the clamp itself are secured against accidentally changing their position, and the TRIC clip prevents the connecting member from sliding. TRIC clip increases the reliability of the installation process and reduces costs, while providing a high level of user comfort. Since 2010 the cooperation of Frankensolar and Wagner & Co aims at stronger positioning their brand TRIC in the market – and successfully so! Convince yourself of the trick with the clip and the variability of TRIC mounting systems and visit us at the EU PVSEC in Frankfurt, from Sept. 24 to 28, 2012, booth E6, Hall 3.1. For more information about the TRIC assembly systems: www.wagner-solar.com or www.frankensolar.de. The Wagner & Co Solar Technology GmbH, founded in 1979, stands for the logical and consequent further improvement of solar energy systems. More than 320 employees in Germany, Europe and the United States work towards this goal. The company offers solar power systems as well as solar thermal and pellet heating systems for residential and commercial use. Quality excellence and good value for money are proven by many awards from the leading German independent consumer testing organizations Stiftung Warentest and Ökotest. TRIC box roofs can utilize up to 95% of the roof area. Bilddownload 1: With their patented design the TRIC clip panel fasteners save precious installation time while increasing reliability and safety. Bilddownload 2: TRIC box roofs can utilize up to 95% of the roof area.